Comes with "booger pickin' finger". How's this for a cool gift? 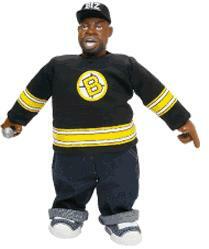 The Biz Markie doll. Unfortunately, only 1000 were produced at $70 a pop, so it's out of my grasp. It's just as well. I don't need another knick-knack. My room looks enough like a pop culture Bennigan's as it is. at $70 it's a steal compared to the Ghostface Killah doll. Does it talk? For that price it should! heck. he should say that you're more than just a friend, cuz baby, you, you got what he needs. anon - I'm still waiting for the 3rd Bass doll set. I'm sure the cost for that would give me the gas face. spydrz - Please do not reference that film. Kate - Apparently, it does. Still, the price tag's a bit high. 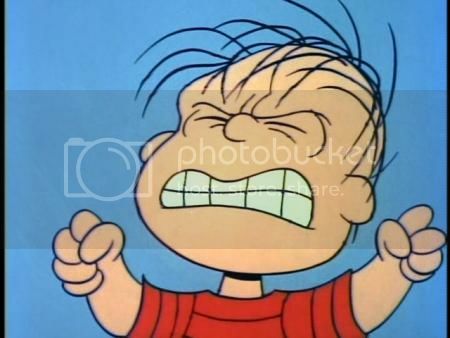 jasdye - I'd rather him say "sittin' on the toilet/waitin' for my bowels to move". Dylan, Lennon/McCartney, Springsteen...Markie.